Writing quality content on a website is one way to show people you know what you’re talking about. Longform informational content, infographics, studies, and white papers posted on a blog can set you apart from other businesses. A blog can also serve as your writing or design portfolio. Showcasing my writing through a blog is how I started my career freelance writing. If you don’t have time to write, videos posted on a blog with video notes can do the job as well. You don’t have to post every day either. High-quality blog posts published weekly, biweekly, or even monthly could boost your authority. 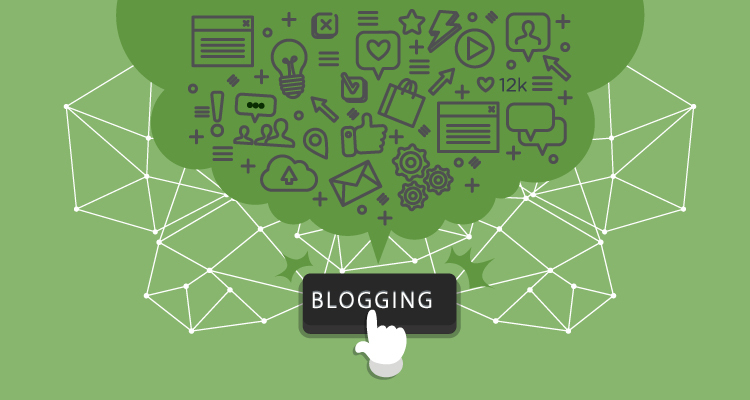 Blogging is a form of content marketing. Content marketing is creating different content such as blog and social media posts to bring awareness to your business. The great thing about blogging is that writing with a search engine optimization strategy can bring traffic to your site, which means more opportunity to turn people into email subscribers or customers. Search engine optimization is optimizing your content for keywords that people use so you come up in search results. Learn the basics of searching for keywords to use in your content here. Your blog should have a purpose and strategic plan otherwise it can be a waste of time. Blog about topics that people are searching for and use relevant keywords to drive more traffic to your site. Search engines favor the most relevant and current content so blogging regularly and updating your post frequently can boost your ranking in search as well. Blogging can promote your main business, and it can be a money maker itself. With monetization strategies like affiliate marketing and display ads, you can earn an extra passive income from the readers of your blog. To get started with affiliate marketing, browse affiliate networks or go directly to the website of products you frequently recommend to see if the company has an affiliate program. People who promote products as an affiliate get a commission if someone purchases a product through their affiliate link. Make sure if you do start promoting affiliate products or sponsorships that you’re complying with FTC regulations on disclosing partnerships. Blogging is not dead. Sure, there are new social media platforms where you can build a following, but blogging still has its place in content marketing. Blogging can help you build authority, and it can bring readers to a site that isn’t getting traffic. The key to blogging is moving forward with a strategy. Who do you want to reach? What information do they want to read? How can you convert readers into subscribers and customers? Get clear on your mission and blogging can do great things for your business.